Click through and take a look for yourself. Great Expectations will be coming to a TV near you in Spring 2012 as part of Masterpiece Classic. We'll keep youp posted on an airdate as that develops. 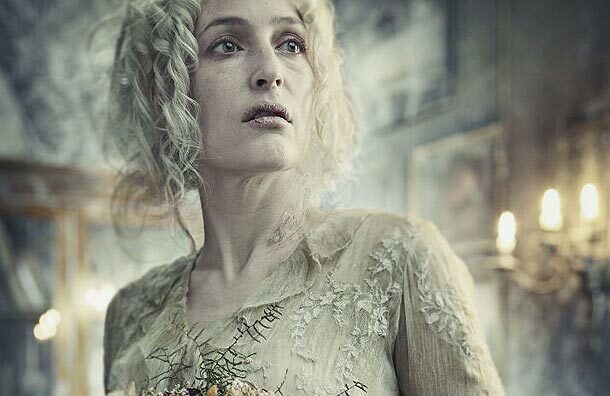 Clip One: Miss Havisham Interrogates Pip: Miss Havisham asks orphan Pip about his dead parents and siblings as Estella listens in. She suggests that perhaps if Pip has been spared, he might be meant for something special. Pip Returns to Satis House: Pip returns to Satis House a young gentleman. He is reunited with Miss Havisham and Estella. Miss Havisham has great hopes for their future.